I am far more casual when the children are off school and my only destination is the home office or the park. I struggle to be all styled and ready for the day when I am surrounded by 5-10 year olds. I look after my friends 2 children and in return she looks after mine a few days a week during the holidays. This is so we can both continue to work on our part time day jobs without horrendous childcare fees/club prices. So far so good, the Easter hols has worked out well. 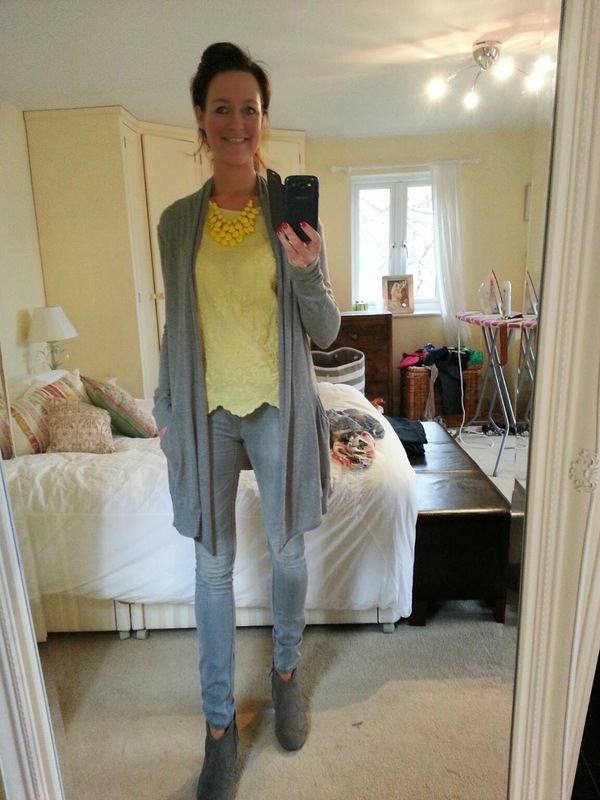 Here is a round up of what I've been wearing over the past week/10 days. 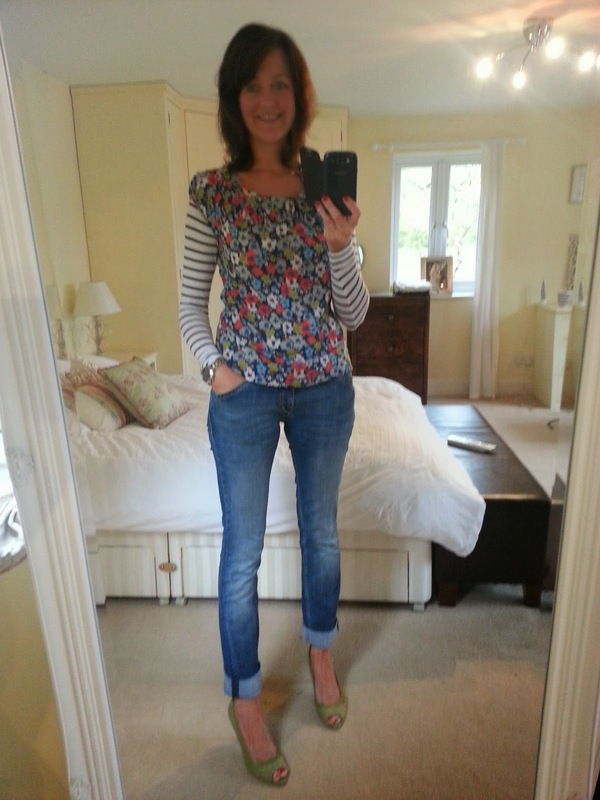 And here I am today - totally dress down Friday today (in the office away from annoying children) - HOORAH! 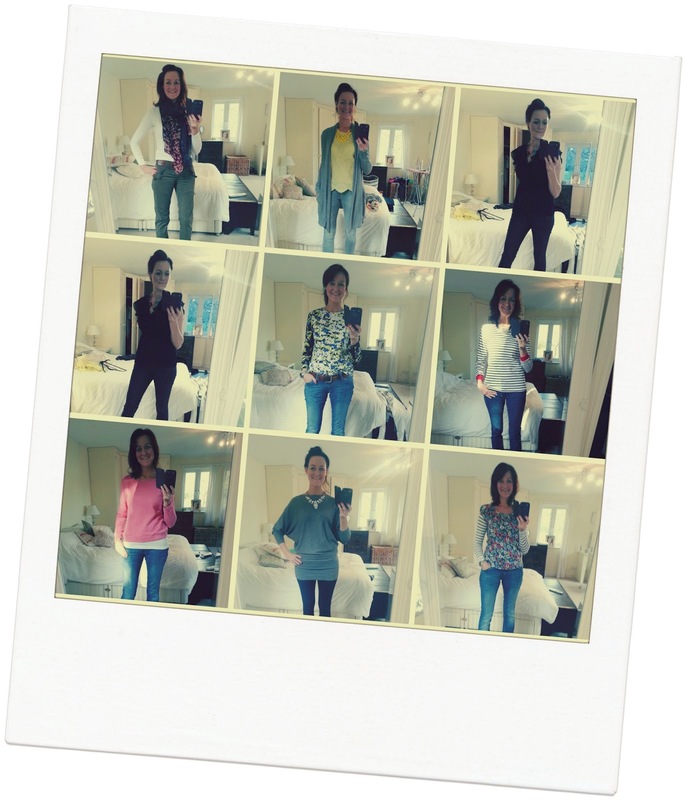 Do you make an effort EVERY DAY? Some great outfits Fiona. I think everyone has days where they dress up more than others, although I do try & make an effort most days as it makes me feel good. I think I far more casual then I have ever been. I've never really done smart very well! I actually prefer dressing up to being casual ... I'm just weird like that! But if I know I'm not going to see anyone or go anywhere, then hell no! I don't make an effort at all! I always feel a fraud or uncomfortable when 'dressed up'!!! Oh I so so love those sneakers - they are beyond perfect on you. I also love the 7/8ths trews with them. My fave outfit of them all! Dressing up? Hmm well I only get dressed dressed up when I go out out at night so I'm pretty dressed down all the time. Apart from when I'm ridic hungover and then I slob out in sweats..... Doesn't happen v often! (the slob out not the hangover..)! No I don't make an effort everyday, I can usually be found in joggers during the week. 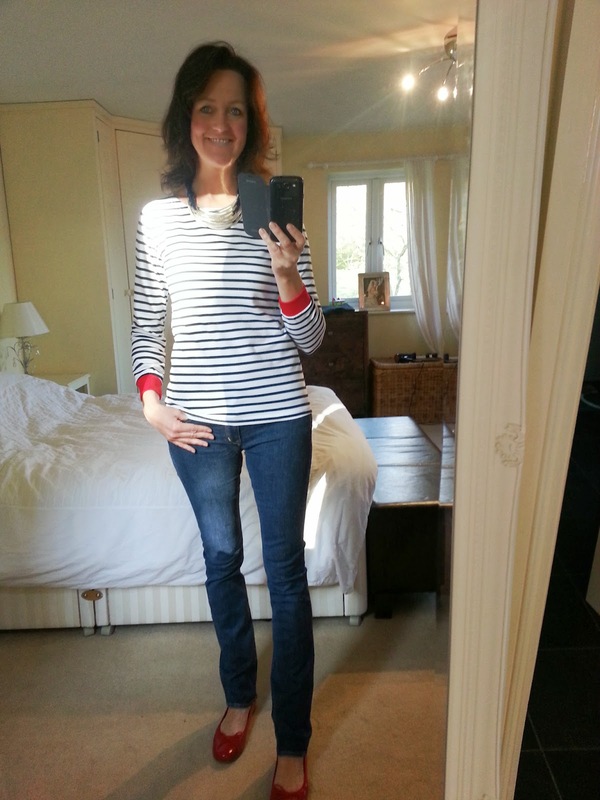 My favourite look is your Breton as always, I am truly obsessed by stripes! What a great idea to share the child minding! 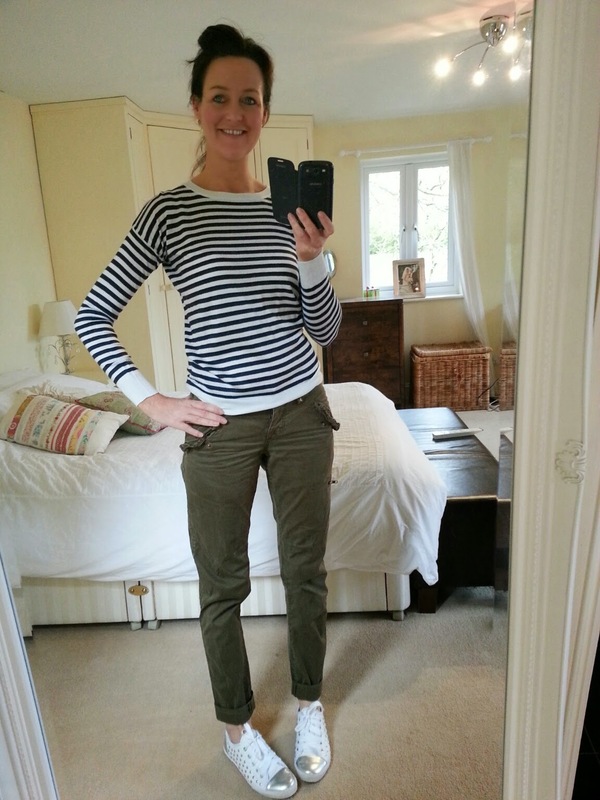 I have been commenting away over on Ave 57 and have loved your recent outfits - my fave is still your breton top, camo's and your TK Maxx pumps - you look great!